As long as the morally-bankrupt UN is against the decision, we know we’re on the right path. The Merkel regime is beneath contempt. Germany, together with 21 other EU member states, voted in favor of a United Nations resolution calling for the U.S. to withdraw its recognition of Jerusalem (Qudus) as the capital of Israel. 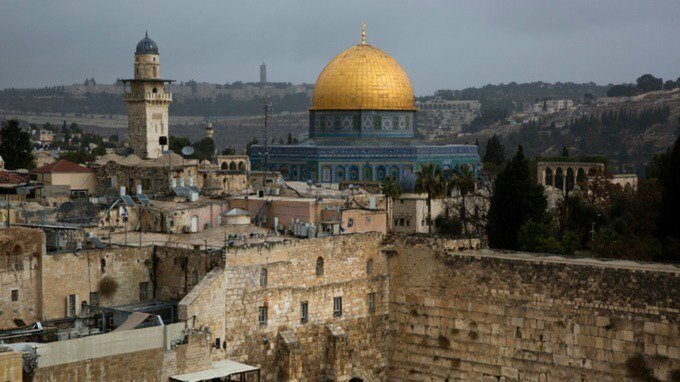 “The status of Jerusalem should be negotiated between Israelis and Palestinians. It should not be prejudged,” the German Foreign Ministry said in a statement posted on Twitter on Thursday evening. 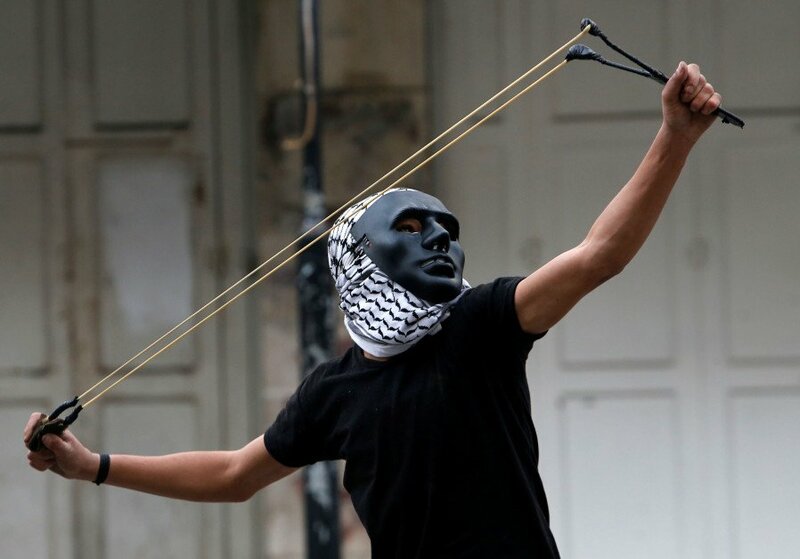 Some 900 Palestinians clashed with Israeli security forces across the West Bank in another “Day of Rage” on Friday due to US Donald Trump’s recognition of Jerusalem as the capital of Israel. According to the IDF, the clashes broke out following the conclusion of Friday prayers near Rachel’s Tomb, Bethlehem, Nabi Saleh, Beit Ummar, Al-Arroub and the entrance to Ramallah. Donald Trump behaved like “narcissistic, vengeful autocrat” when he threatened to withhold aid from United Nations (UN) members who criticised the US, a former CIA director has said. John Brennan said it was “beyond outrageous” that the President had warned of retaliations against nations that voted to condemn his decision to recognise Jerusalem as Israel’s capital. 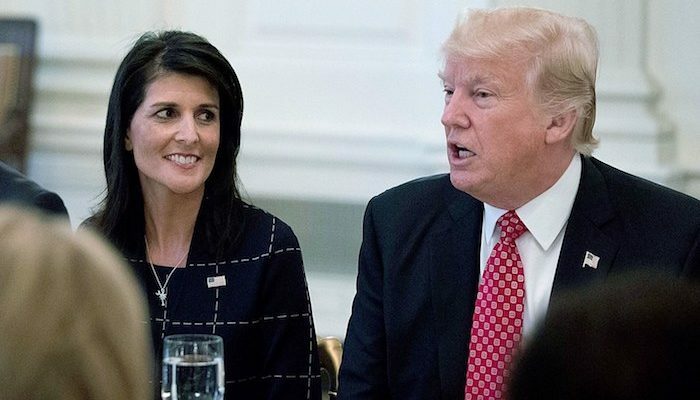 The resolution to declare Washington’s decision on the city’s status “null and void” was backed by 128 countries at the UN General Assembly, including the UK, despite American ambassador Nikki Haley promising the US would be “taking names” of any nations who supported it. PUTRAJAYA: Malaysia is unfazed by the United States’ threat to take action against countries that voted in favour of a United Nations (UN) resolution urging it to withdraw its decision to recognise Jerusalem as Israel’s capital. Datuk Seri Najib Tun Razak (pic) said that while he was warmly received by US President Donald Trump during his visit to the White House in September, he will not budge on the principle of protecting the sanctity of Islam. “Whatever may come, I will not sacrifice the sanctity of Islam. By “Islamic militant group,” they mean terrorist group with gallons of innocent blood on its hands. The destruction of Israel is the purpose of its existence. The General Assembly voted 128-9 with 35 abstentions in favor of the non-binding resolution. One hundred twenty-eight countries sided with terrorists against Western Civilization by proclaiming not only that Israel has no right to name its own capital, but that the USA has no right to acknowledge Israel’s capital. The position is not even remotely reasonable. Yet American taxpayers are forced to fund this coven of dictators and moonbats. Brotherhood of the Global Cake… Most successful bunch of losers in human history. In the Kingdom of God each nation will be the size of its truth. Until then no theocracy should be appeased and tolerated in democratic society. … that worst of repulsive stench – worse than sewerage !!! … and of course as usual – all supported by their islamophiles !!! some of which (the islamophile supporters) are Australian politicians bureaucrats (w)academics and the plebian dolts who demonstrate ! Operative Brennovitch, who listens to this loser? Oh, yeah Lefty’s who want to parrot their antiAmerican hate. Yawn. It’s completely reasonable of the United States to do what it wishes with their money. Perhaps Commerade Brennovitch can tell is where Barry and co, got all the money to give cash to Iran? Tell us commerade how many laws of treason were broken for that little jaunt? I will believe the UN is legitimate when they start dealing with the Cyprus problem -40 years of silence. Ukraine? Muslim culture enricher in Harrisburg, PA shooting spree. BTW, one of your frequent guests some years ago, posted in the comments section and I think you reposted a list of all the city locations in the USA that “charities” dumped certain types of gimmegrants -most of them were weird small to midsize american cities. Harrisburg, PA USA was a favoured location on that list to dump gimmegrants coming through the resettlement system. Also on that charity list of refuge settlement was Binghamton, NY (Where some years ago, a Chinese man with mental health problems went into his immigration support club house and shot and killed people.) not too far from Harrisburg.